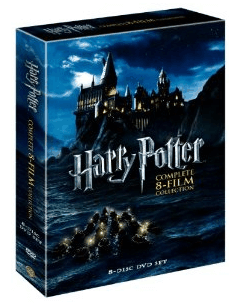 Save 52% on the Harry Potter: The Complete 8-Film Collection (DVDs) plus Free Shipping! The Harry Potter: The Complete 8-Film DVD Collection (2011) is on sale right now for $37.73 at Amazon. That's 52% off the list price of $78.92! This boxed movie set has an average rating of 4.5 out of 5 possible stars based on 1,276 customer reviews.